The growth of large employers in downtown since the end of the great recession has catalyzed investment in new small businesses, public infrastructure, housing and startups. Now, the largest employer downtown, Amazon, has announced it is pausing its plans for continued growth in Seattle as businesses face the threat of a new tax proposed by the Seattle City Council. Yesterday’s news should serve as a wake-up call to those on the council who have put forth a risky plan to tax jobs in our city. Amazon’s growth has had a significant economic benefit for small, medium and large businesses in Seattle – and for city government in the form of millions of dollars in new tax revenues. A pause in Amazon’s growth will be felt by many – from hotels to small businesses to restaurants and construction companies. A tax on jobs will negatively impact businesses and organizations across Seattle and make Seattle the only city in the state to levy both a B&O tax on gross receipts and a tax on jobs. It’s the wrong approach to address the serious issue of homelessness in our community. The council has spent more money on homelessness in each of the last five years, yet we see more people on the streets than ever before. We need a responsible, effective and regional approach to solving homelessness, not a risky tax levied against business that will slow economic activity. We need your help today to send a message to the city council. The Seattle City Council needs to hear from you. 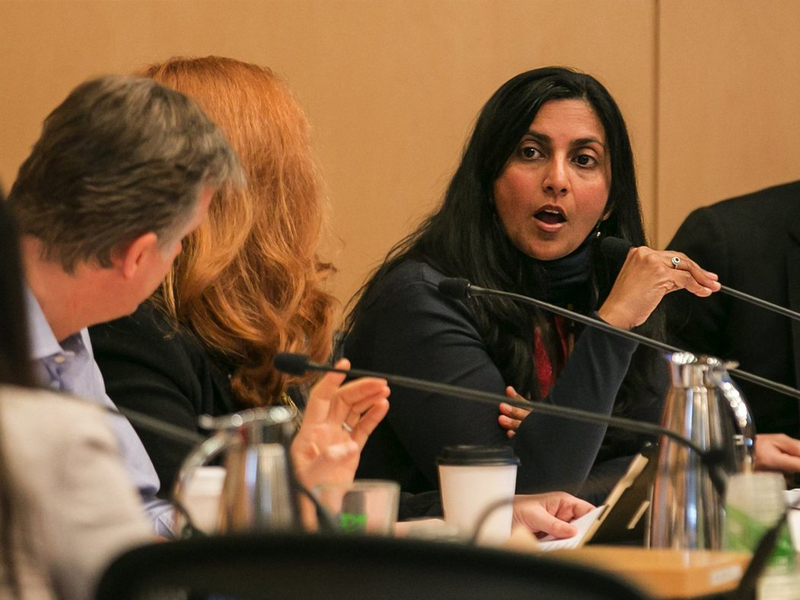 In-person comments, emails and phone calls to councilmembers will ensure we’re getting the message across that a tax on jobs is bad public policy and will harm economic activity in Seattle. Please direct your communication to council@seattle.gov and copy Mayor Durkan at jenny.durkan@seattle.gov. Contact information to call councilmembers is here: (206) 684-8888. Large employers are important to our city’s overall economy: Amazon’s growth has had a significant economic benefit for small, medium and large businesses in Seattle – and for city government in the form of millions in tax revenues. A potential pause in Amazon’s growth will be felt by many – from hotels to small businesses to restaurants and construction companies. Businesses are contributing significantly to the city budget: The city directly collects nearly half a billion dollars per year in business-related fees and taxes related to parking, admissions, B&O and utilities. An estimated 57 percent of Seattle’s general fund (which funds homelessness services) comes from taxes paid by businesses. Homelessness is a serious regional problem that requires a thoughtful regional strategy: We urge the council to engage in the regional One Table process, created by Mayor Durkan, County Executive Constantine and Auburn Mayor Nancy Backus. To reduce the number of homeless individuals in our community, we must work together regionally and focus on outcomes. This will also take close coordination across the public, private and nonprofit sectors. We need greater accountability: Record budgets and spending by the council have not improved our homelessness crisis. The city council has consistently increased spending over the last five years and is now collecting more money from businesses and residents in Seattle than at any time in our city’s history. Yet we continue to see more and more people in need on the streets of Seattle. The number of unsheltered homeless in Seattle has increased by 37 percent in the last three years despite the city’s increased spending. Aside from spending more money, how does the council plan to make a difference on this issue?